Blueberry muffins with coconut oil and flax? YES! 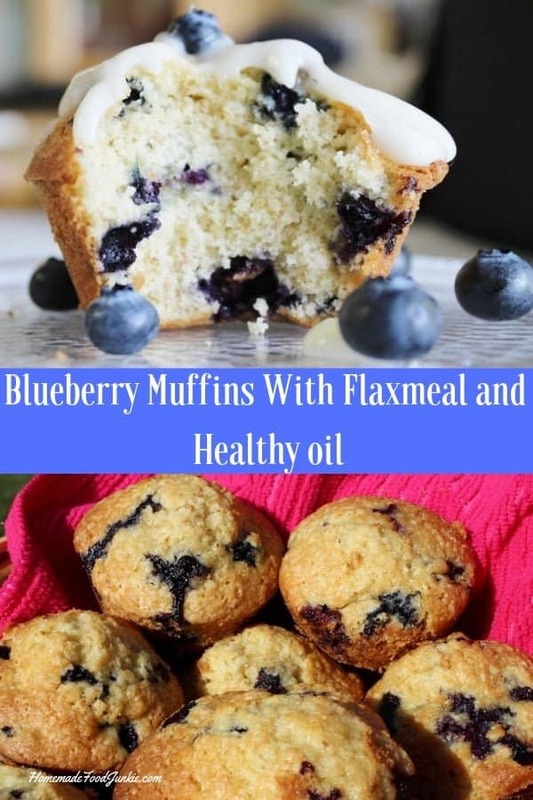 Adding flax meal and avocado oil increases the blueberry muffin fiber and makes all the fats really good for you. 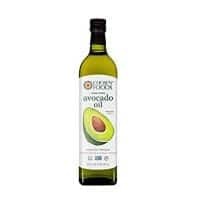 Avocado oil is a heart healthy oil. 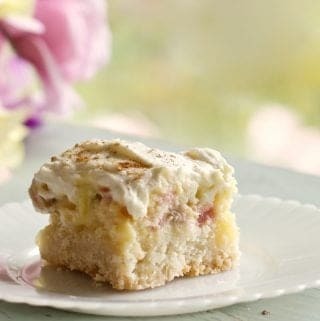 It is flavorless and is excellent in baking products! Flax meal adds increased fiber which helps digest the sugary carbs in these luscious yummies as well. Not to mention the many health benefits of the blueberries. Feel good about this muffin choice for breakfast, snacks or anytime! We love Blueberry muffins. We ADORE blueberry muffins. And these have the added benefits of the flax meal and healthy oil. Flaxseed meal recipes are full of healthy ingredients. Flax offers several healthy properties into your diet. 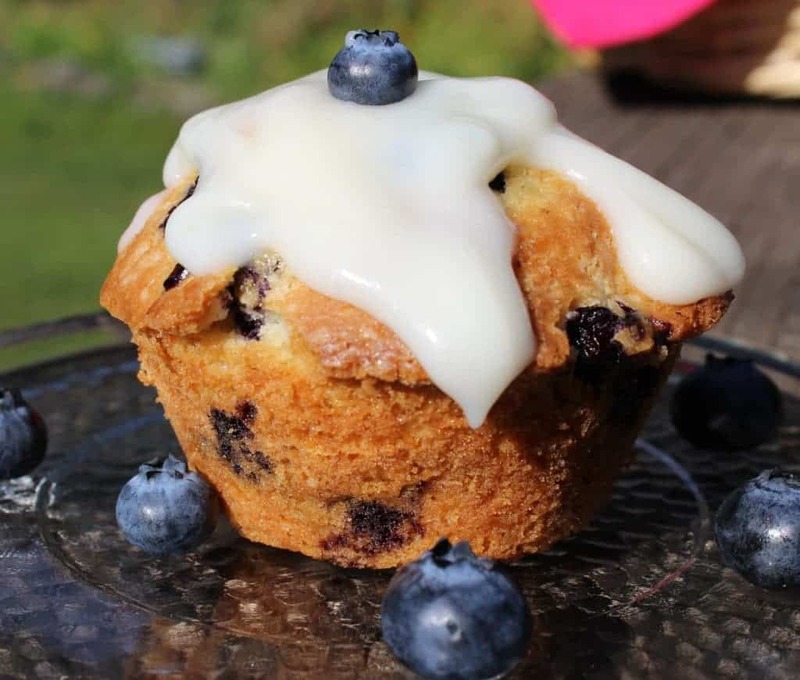 Flax blueberry muffins are good for you! Flax meal has a ton of potential health benefits. This article by Healthline goes into more detail for you. Here are a few. Flax is a great source of plant based protein. 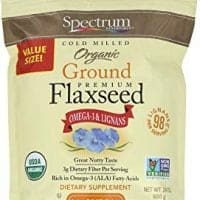 Flax is a great source of Omega 3 fats and lignans. Flax has both soluble and insoluble fiber. This is important for good digestion. Flax is sustaining. The high fiber and protein content work together to satisfy your appetite. Flax is a great egg substitute. If your egg intolerant or a vegan flax can help you out! For every egg you wish to replace use 1 Tablespoon Flax meal and mix it 3 Tablespoons water. Mix them together and let sit a minute. Add it to the recipe! If you are vegan or egg intolerant this recipe can be made just for you. Use a powdered sugar icing instead of the cream cheese icing I’m using here if you’re vegan. Avocado oil is a healthy oil. This article by Medical News Today provides more detailed nutritional info for you. Avocado oil, like flax, is a good source of Omega 3 fats. Avocado is very good for your skin. Avocado oil is heart healthy. Blueberries are chock Full of healthy antioxidants and other nutrients. Eat Them! 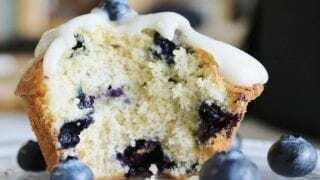 These blueberry muffins are moist and tender. Along with the health benefits these muffins deliver maximum flavor! The cream cheese glaze is totally optional. Even my husband loves them just plain. The really excellent thing about the avocado oil and flax combo is… they really satisfy. The extra fiber from the flax and the special way that avocado oil digests makes these muffins not only delicious but they really fill you up. You can also choose to use coconut oil in this recipe. I often do use coconut oil. 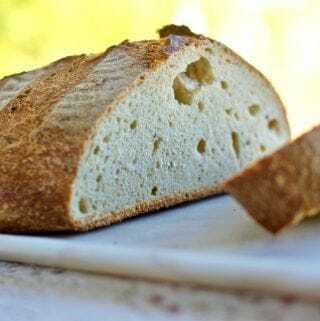 It has a REALLY nice flavor that I love in baked goods and it is also a healthy digester. When you make healthy blueberry muffins with oils like these you are adding essential nutrients into your diet in the yummiest way ever. Light delicious and healthy. These muffins make a great breakfast, lunch or snack! 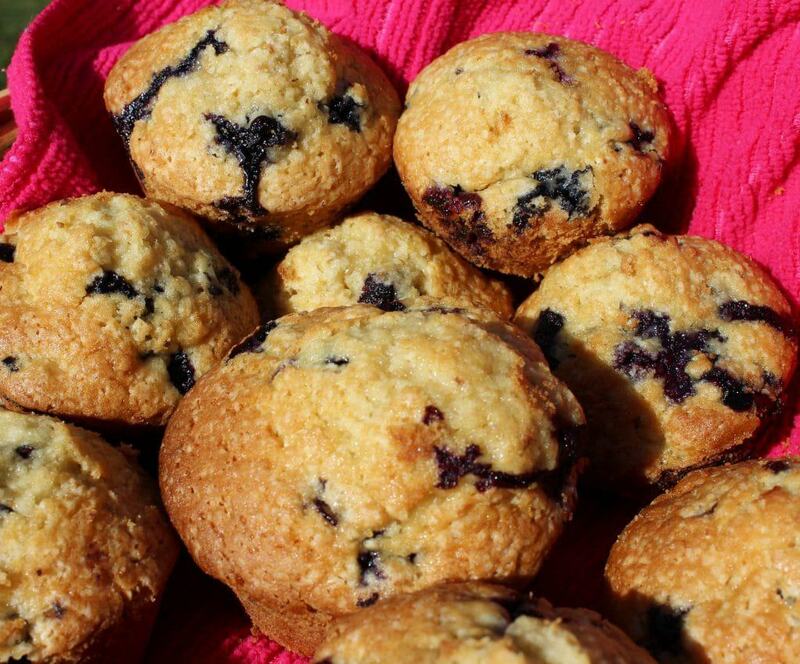 Blueberry Muffins with Flax meal and healthy oil make a great grab N Go busy day staple. We love a fast grab and go treat like these. We keep our homemade blueberry muffins strategically located in a basket near our coffee pot. Coffee and blueberry muffins are so great together. On busy days when chores outside call me away from the kitchen, these are a lifesaver. 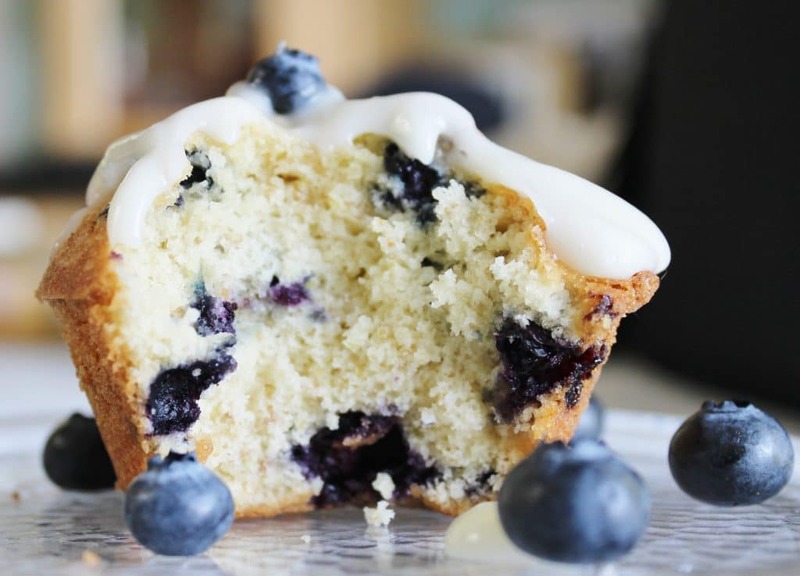 We love this Blueberry Muffin recipe. It’s no hardship to munch them all day long for filling, healthy staying power. 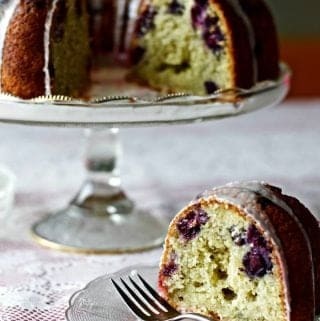 When they are in season we use our own garden grown blueberries in recipes like this one. Yum! Adding flax meal and avocado oil to blueberry muffins increases the fiber and makes all the fats good for you. The increased fiber helps the digestion of the sugar in these luscious yummies as well. Not to mention the many health benefits of blueberries! So feel good about this muffin choice for breakfast, snacks or anytime. Oil your muffin cups, or use cupcake liners, as you prefer. In a medium bowl, mix together the wet ingredients(you may need to warm the oil and milk to lukewarm, to liquify the coconut oil). When the mixture is well blended. 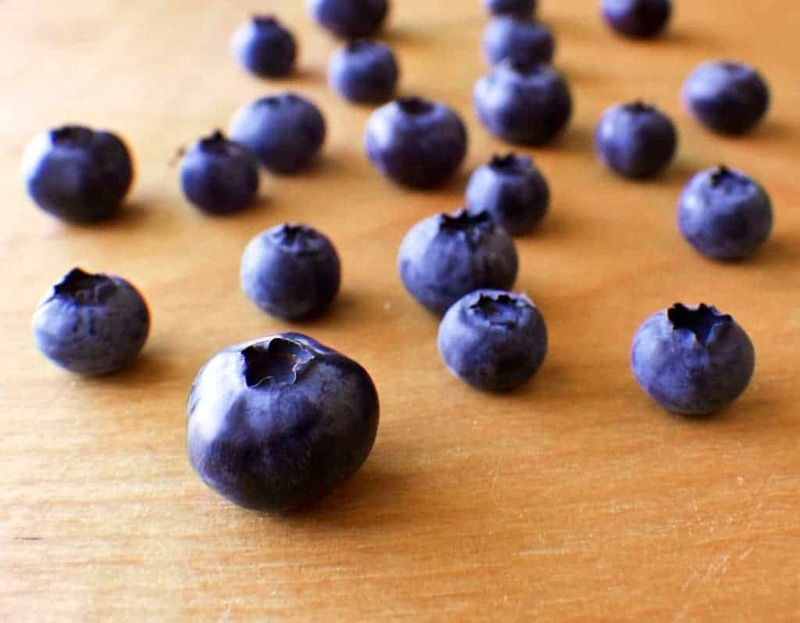 Carefully fold the blueberries into the batter trying not to burst the berries. Bake for 18 to 20 minutes or until an inserted toothpick comes out clean and the tops are pleasantly browned. 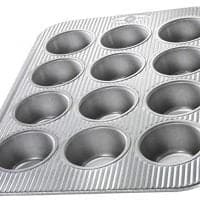 Remove from the oven and let sit until cooled enough to handle, then take a sharp knife and go around the edge of each muffin and separate the muffins from the pan. Continue cooling the muffins on wire racks. In a small deep bowl put the cream cheese and sugar.Mix on low speed until the sugar is incorporated into the cream cheese. Then increase the speed of your mixer to medium and add the milk in small increments until the icing is smooth and the desired consistency. When the muffins are cool completely, ice with the cream cheese icing as desired. Impressive. 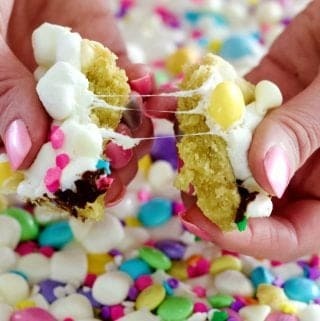 A healthy combination of ingredients and excellent pictures makes my mouth water. I’m looking forward to exploring your site. Wonderful! 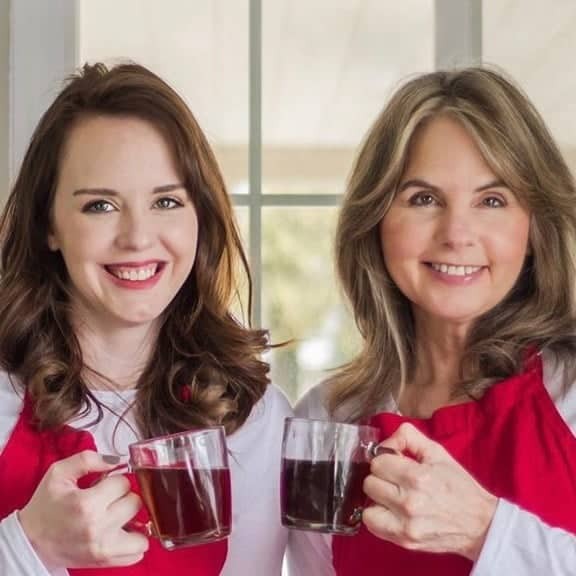 I hope you enjoy the site and the recipes. Thank you so much for your compliment!